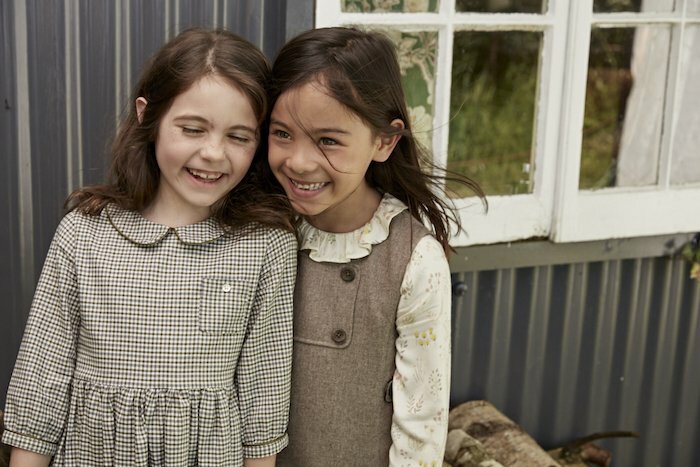 Luxury childrenswear brand, Marie-Chantal, is opening a new flagship store on Motcombe Street, London. The new Marie-Chantal store will be home to the brand’s iconic Angel Wing Collection, baby gifts, seasonal girls and boys collections, special occasionwear as well as a unique curation of jewellery and gift items. Perfect timing for Christmas! Princess Marie-Chantal of Greece launched her first collection almost twenty years ago, focussing on her love for classic and timeless design. Her five children are her influence (a girl and four boys) and she uses her expert eye for fashion as a guide. The childrenswear range runs from birth up to 12 years old. The new store has been designed by Fran Hickman who has recently created new retail spaces for Goop, Moda Operandi and Emilia Wickstead. True to Marie-Chantal’s roots, the boutique store will celebrate beautiful clothes for beautiful children. Clothing is age appropriate and allows boys and girls to dress like children, with a playful twist. The stylish cuts, playful embroidery and detailing is key to every signature design.